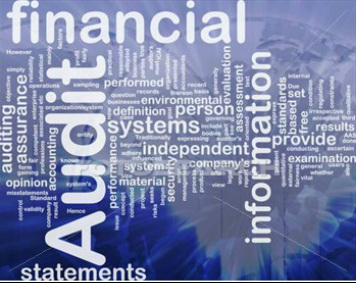 Financial Statement - Professional Jamaicans for Jamaica, Inc.
Financial reporting for non-profit entities falls under the guidance of Financial Accounting Standards Board (FASB) Statement 117, Financial Statements of Not-for-Profit Organizations. This report is equivalent to a Balance Sheet in the for-profit world. It shows a snapshot of the assets, liabilities, and net assets of the organization as of a particular date. FASB 117 dictates that the assets and liabilities must be classified as either current or noncurrent. Donor-imposed restrictions provide direction on how net assets should be categorized: unrestricted, temporarily restricted, or permanently restricted. These categories are also a requirement of FASB 117. Known as the Income Statement to profit-seeking organizations, this report shows the revenue, expenses, and changes in net assets of the organization over the course of one year. Like the net asset categories above, the revenue received with donor restrictions must be shown as either temporarily or permanently restricted on the Statement of Activities. However, all expenses are recorded as unrestricted. This report reconciles accrual-based accounting to the changes in cash. The statement is broken down into three sections: investing activities, financing activities, and operating activities. Investing activities are those that either use cash to make a purchase of an asset or receive cash from the sale of an asset. Financing activities include changes in cash from the settling of liabilities or the incurrence of liabilities. Operating activities are anything that does not fall into the first two categories, as well as any non-cash items. Click 2011 Financial Statement to peruse the financial position of Professional Jamaicans for Jamaica, Inc.